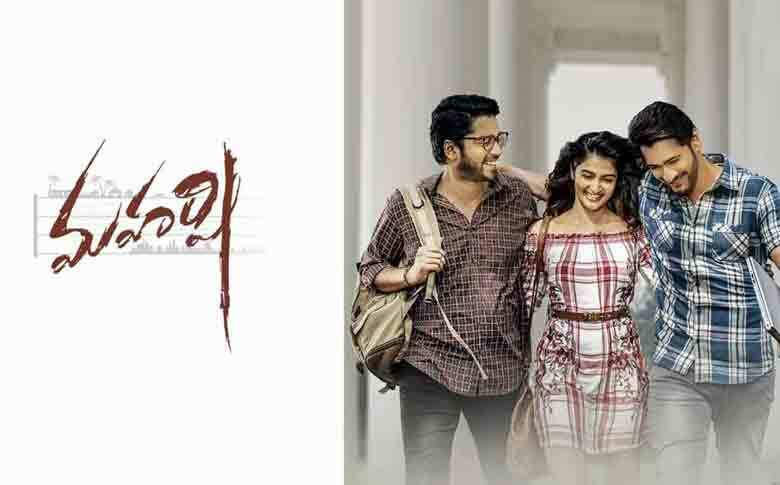 Tollywood Superstar Mahesh Babu’s much-awaited movie “Maharshi” shooting is currently in the final stage. The makers of the movie had released the lyrical video of the movie recently. Currently, the makers are planning to wrap up the final portions of the movie in Hyderabad. As per reports, there will be 2 songs left for shooting, which the makers have planned to shot in Dubai and Hyderabad. The movie will see Pooja Hegde, Meenakshi Dixit and Sonal Chauhan playing the female leads. The film also stars Allari Naresh, Jagapathi Babu, Rajendra Prasad, Sai Kumar, Prakash Raj, Posani Krishna Murali, Jayasudha, and Rao Ramesh in pivotal roles. The movie is directed by Vamshi Paidipally and bankrolled by Dil Raju and Prasad V. Potluri. The makers are planning to wrap up the shooting by mid – April and to focus on post-production work. The movie made of 60 crores is slated to hit the screens on May 9th, 2019.